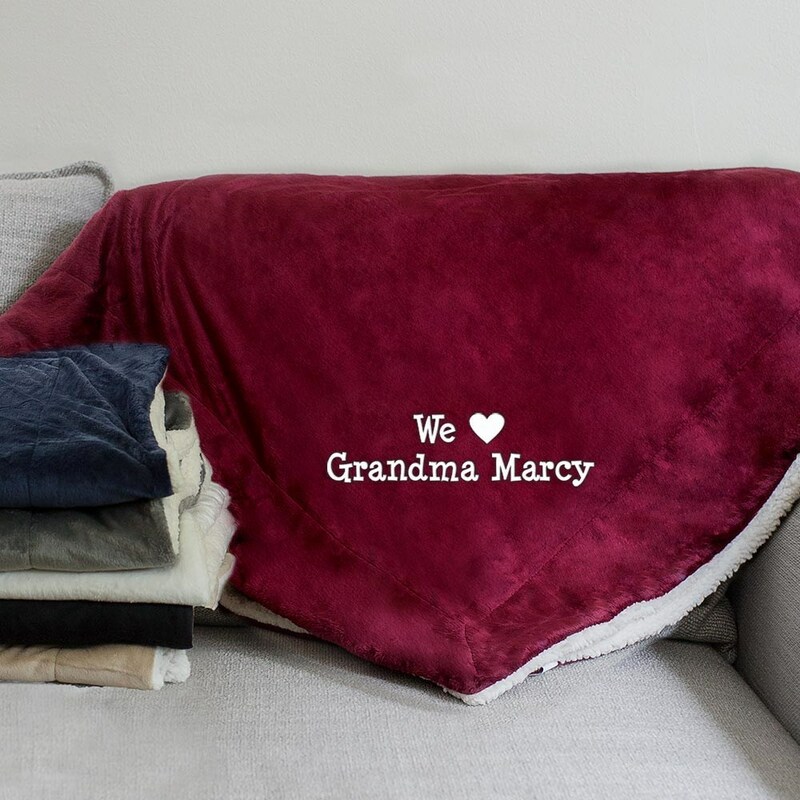 Let those you really love snuggle up with this personalized Embroidered We Love Sherpa Blanket this winter. 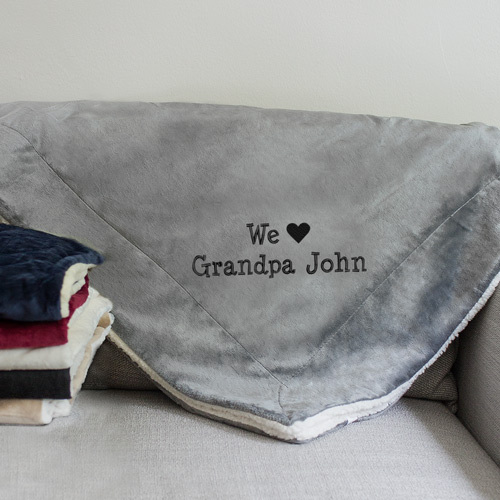 Choose from 6 blanket colors and we'll custom embroider any name line of that special person you love. Add your choice of I or We to complete the love phrase. The perfect gift for any occasion. Also makes a great housewarming gift! Beautiful stitching and oh so soft! Loved it! Wonderful throw! Christmas gift. Love that embroidering was free! The blanket was just as described and expected. The stitching in embroidery is crisp, clean and as previewd upon purchase. Thanks! Additional Details This blanket is great for all sorts of occasions - but if you're looking for other personalized gift ideas, check out a personalized house warming gift from GiftsForYouNow!